We’ve learned about various forms of weather, everything from blizzards to tornadoes. Now let’s take a look at one of its most extreme manifestations, the tropical cyclone, or a hurricane, as it’s most commonly called. It’s hurricanes that can wreak havoc on lives with the floods, tornados and wind damage that ensue during and after the storm. So lets find out a little more about hurricanes. A hurricane is a huge storm that can span 600 miles across and have strong winds ranging from 74-200 miles per hour (mph). The storms are usually a weeklong and form in the southern Atlantic Ocean, Caribbean Sea, Gulf of Mexico, and in the eastern Pacific Ocean. They move 10-20 mph over the open ocean. With them, these storms usually bring rain, thunder and lightening. Once on land, the heavy rain, strong winds and large waves can have a damaging affect on buildings, cars, and trees. Not to mention the devastating impact hurricanes leave on people. Hurricanes form over ocean water of 80°F or warmer and it’s from these warm ocean waters that hurricanes gather their heat and energy. They also require the influence of the Earth’s rotation to initiate a spinning circulation called the Coriolis Effect. Evaporation from the seawater increases their power. Once formed, a hurricane rotates in a counter-clockwise direction around an “eye.” As the center of the hurricane, the “eye” is the calmest part, with only light winds and fair weather. What’s the difference between a typhoon and a hurricane? Typhoons and hurricanes are essentially the same thing, a strong tropical cyclone. The difference, however, lies in where they form. For example, a tropical cyclone that originates in the North Pacific Ocean west of the International Dateline is known as a typhoon. Yet a tropical cyclone that forms in the North Atlantic and Northeast Pacific Oceans east of the International Dateline or South Pacific Ocean east of 160E is considered a hurricane. What’s the International Dateline? Well, it’s an imaginary line set approximately along the 180th meridian designated as the place where each calendar day begins. Click here to find out about this interesting time line! The Atlantic hurricane season runs from June 1 to November 30. But don’t be too fast to rule out all the other months, as hurricanes have occurred outside this six-month window. What this does mean is that the months that make up hurricane season include over 97 percent of tropical activity. For decades, June 1st has been the official kick off for the Atlantic hurricane season, however, the same can’t be said for November 30th as the end date. Hurricane season’s designated end date has shifted from October 31st to November 15th until the current date of November 30th. The United States utilizes the Saffir-Simpson hurricane intensity scale to rank Atlantic hurricanes. This scale gives an estimate of the potential flooding and damage to property given a hurricane’s estimated intensity. Take a look at the chart below to see hurricane categories and some examples. How do I know that a hurricane is headed my way? Well, look out for two key terms on radio and television, hurricane watch and hurricane warning. If you keep your ear open for these two words than you will know if a hurricane is on track for your area. More specifically, when the forecast calls for a Hurricane Watch, it means a hurricane is possible within 36 hours. In this case, stick close to the radio and TV so you’ll know the latest information. Be assured that the Hurricane Center is tracking the storm and trying to predict where the storm may come ashore. However, if you hear the words Hurricane Warning, then a hurricane is expected within 24 hours. In this case, you may be told to evacuate. This is the time that you and your family should discuss preparations, such as getting grocery supplies, gassing up vehicles, boarding windows, and/or making plans for pets in the event you have to leave. Well why does anything have a name? Think of how hard it would be to communicate with others if you didn’t use names. Hurricanes are no different, that’s why all of them have names. 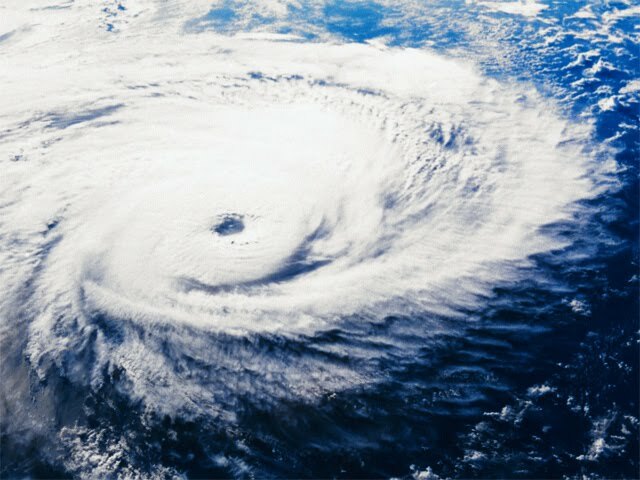 Naming the hurricanes is essential to establishing good communication between the public and the meteorologists who watch the storms; making it easier for them to alert you about forecasts, watches, and warning. Hurricanes can often last a week or longer, and there can be more than one at a time. Without names it would be pretty confusing to decipher which storm is being described. The actual naming of hurricanes has an interesting history. In the early 20th century an Australian forecaster assigned the first proper name of a tropical cyclone, using politicians he disliked as a naming source. Then during World War II, hurricanes were informally given female names by the US Army Corp and Navy meteorologists who were monitoring tropical cyclones over the Pacific. However, from 1950 to 1952 tropical cyclones occurring in the North Atlantic Ocean were named using the phonetic alphabet. Then in 1953 the US Weather Bureau (now known as the National Weather Service) began using female names for storms. In 1979, the World Meteorological Organization (WMO) and the NWS switched practices to include the use of both male and female names for tropical cyclones. The WMO uses the names on six lists, where each name corresponds to a letter of the alphabet. But, if you look at the lists you’ll see that the letters: Q, U, X, Y, and Z were excluded from the lists due to the lack of names beginning with those letters. The lists are reused every six years. Some hurricane names are retired if the storm has been very deadly or costly; in that case the WMO adds a new name to the list.